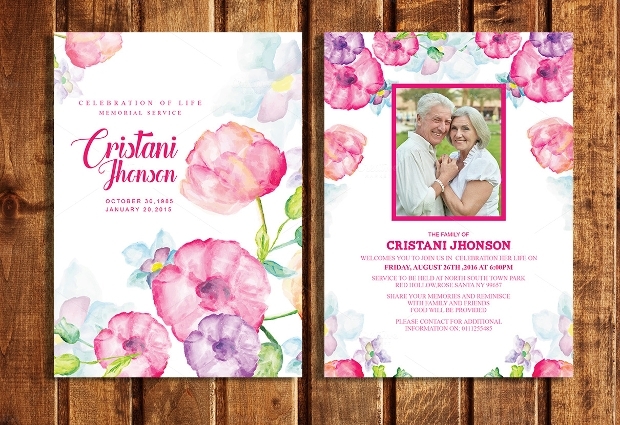 When planning a funeral, one of the most important things is to thank those to come to support the family, and the best and easiest way to do this is to send a thank you card or program along with the invitation to thank the guests at the same time. This makes each guest feel valued and does not put undue pressure onto the family. His list has compiled some of the most elegant and beautiful designs for you to chose from in order to make the process easier. 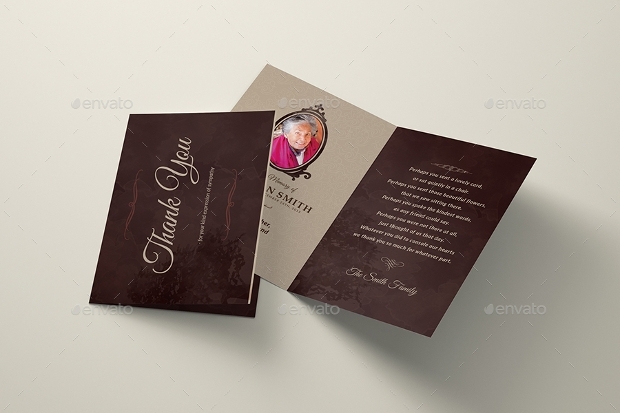 These funeral thank you cards are a simple brown background with white writing. 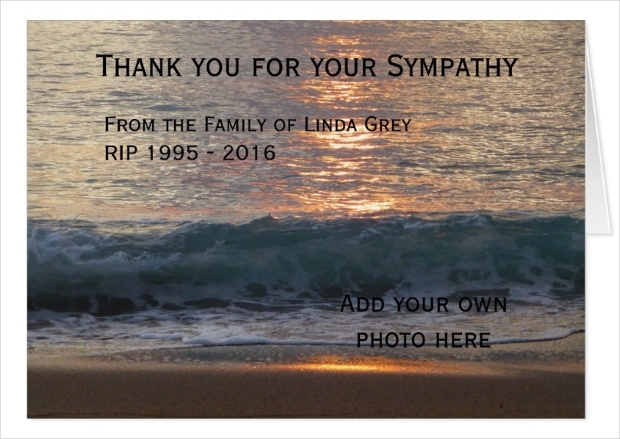 They are ideal for a funeral thank you card to show your appreciation for those who came. 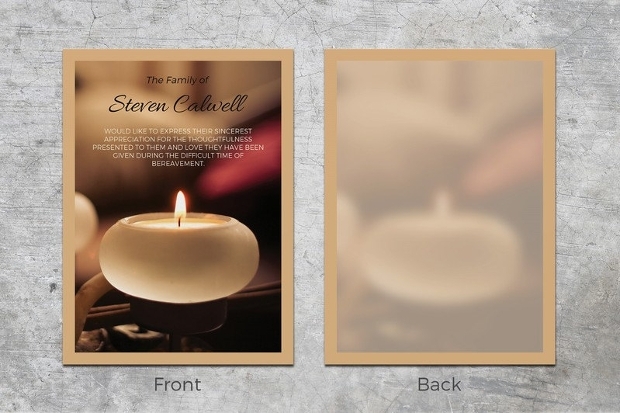 This funeral program template is ideal for showing the events of a funeral and showing respects to the person who has passed. 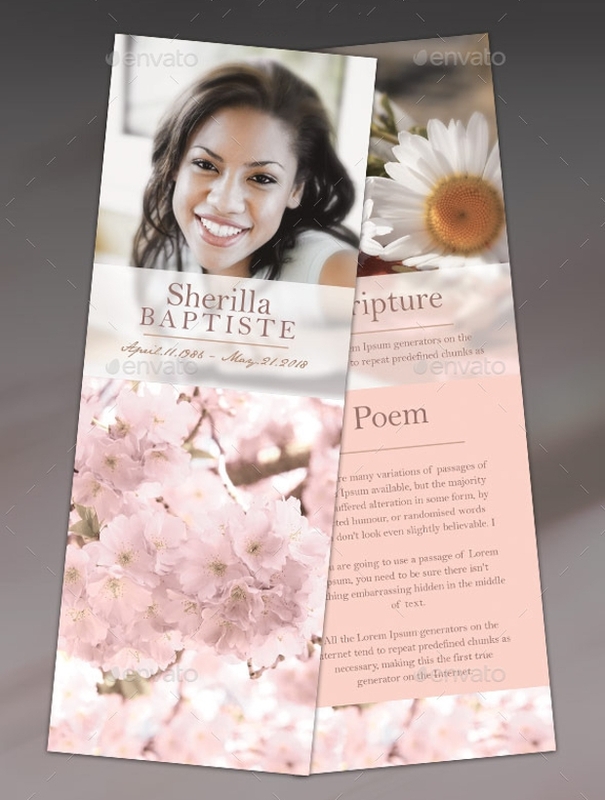 The floral pinks and purples give a feminine feel to the programme and lighten the overall feel of the template. 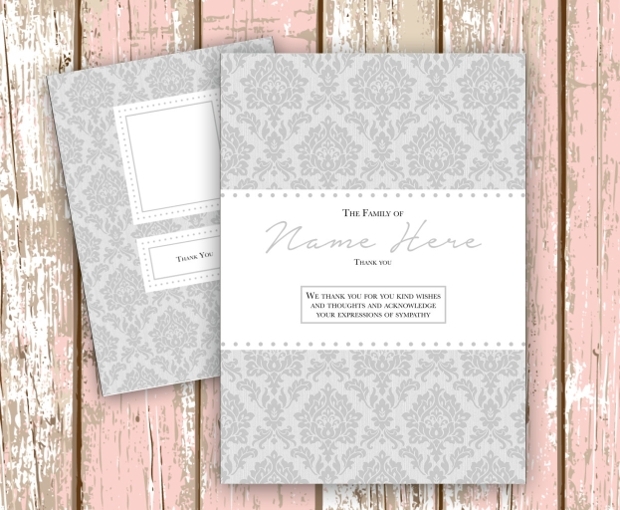 These floral thank you cards also give a feminine feel to the thank you cards, and also lighten up the entire aura of the thank you card as a celebration of those who have passed. 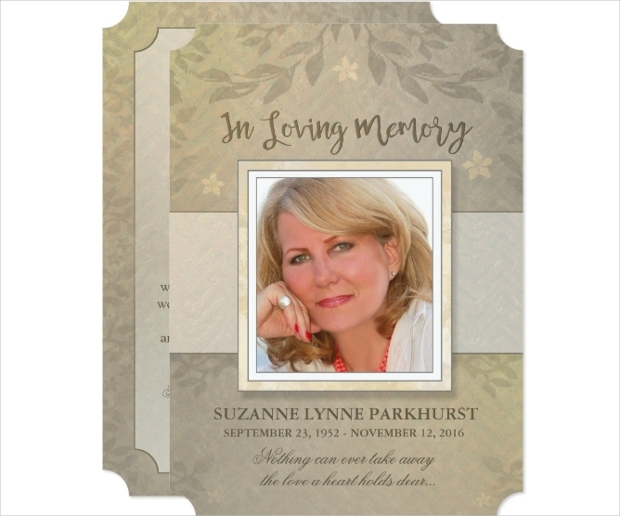 This funeral card is ideal for showing guests the events of the funeral, but the floral embellishments create a lighter feel to the cards to create the feeling of a celebration of life. 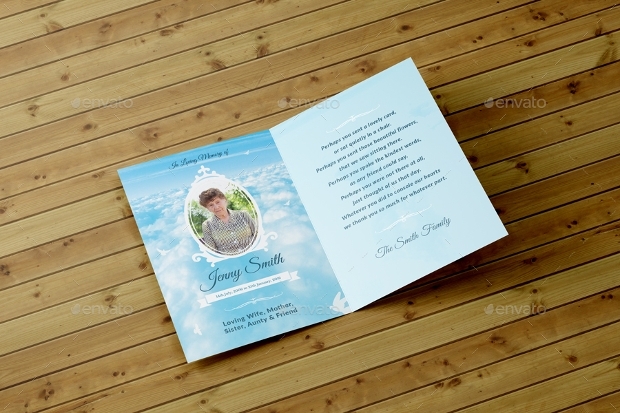 These funeral thank you cards use the theme of a blue sky to thank guests and create a lighter feel to the overall atmosphere of the card. It is ideal to create the feeling of a celebration of the person’s life rather than a mourning. 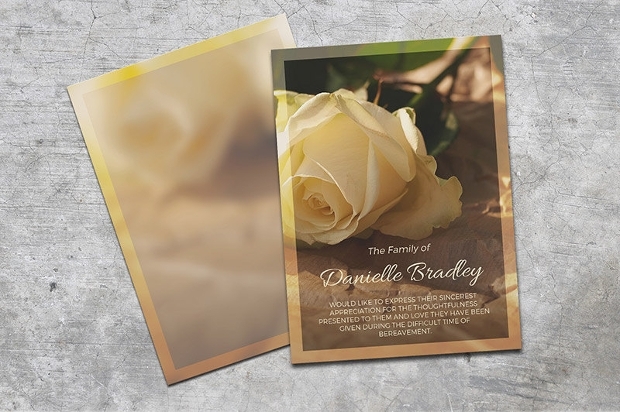 This funeral thank you card has a very elegant embellishment and finish, which is perfect to create a much more sophisticated thank you card to the guests who come to mourn the person who has passed. 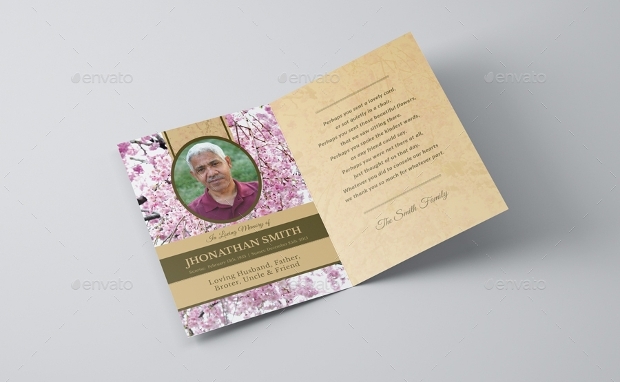 This funeral thank you card template also uses a floral theme; this lightens the feel of the card and celebrates the person’s life. It also creates a feminine touch to the card, which is ideal if the person is female. 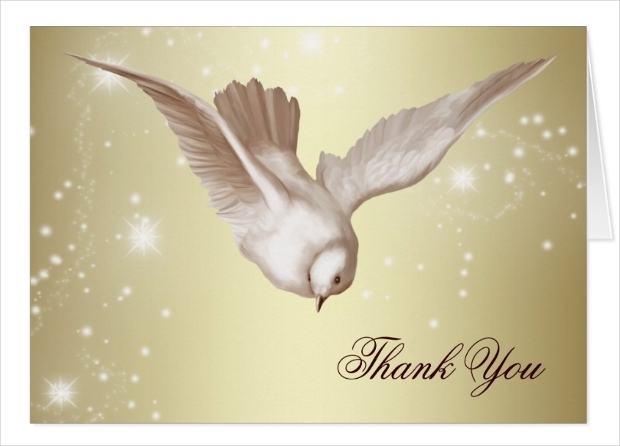 This thank you card has a beautiful, simple cream and brown finish, and is ideal for both males and females. 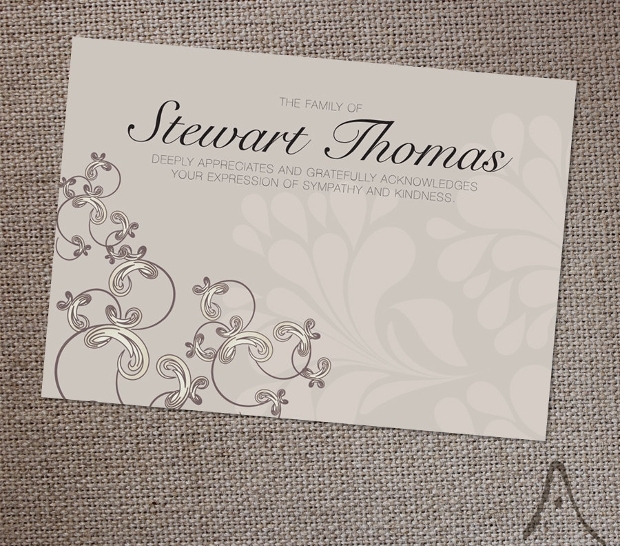 It is a double-sided A5 card and is fully customisable to the customer’s specifications. This cherry blossom thank you card uses a cream and brown theme with the embellishment of cherry blossom tree images around the front page and the person’s picture. 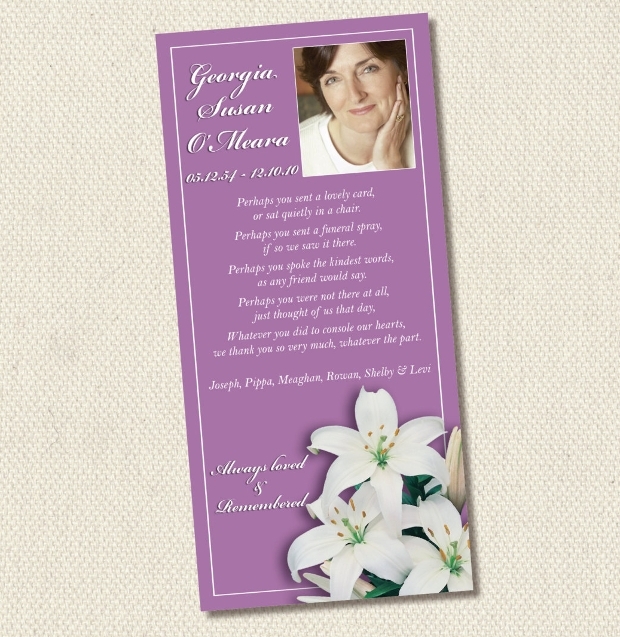 This creates the feel of a celebration of the life of the person and is ideal for use in a wide range of funeral themes. 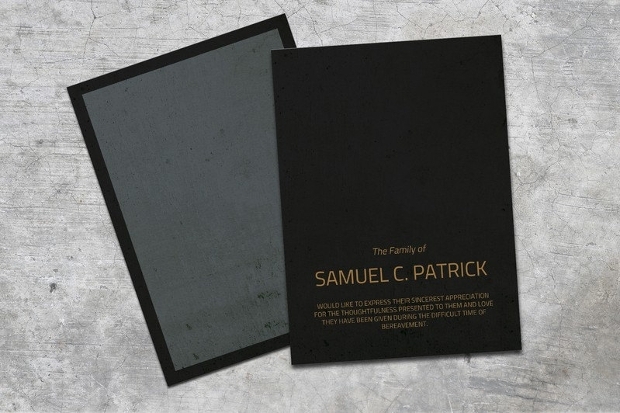 This thank you card uses a black background and gold writing to create a very simple funeral thank you card. This card can be used for male and female funerals. 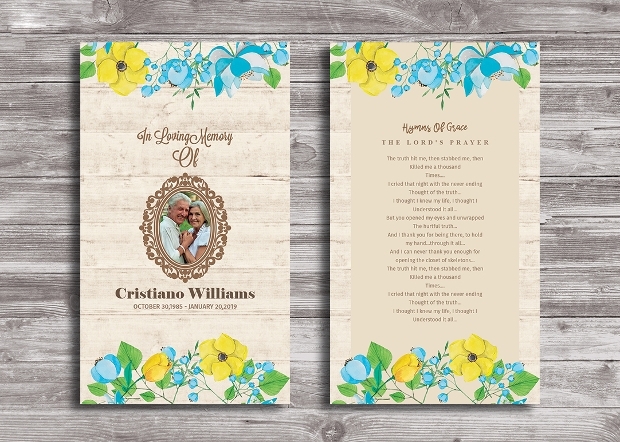 No matter what the theme of the funeral, these designs are perfect to send as a thank you in order to show the guests your appreciation of their presence. They are simple yet beautiful, and show the funeral to be a celebration of the person’s life, which is highly important in the mourning process.